Showers early, then cloudy in the afternoon. High 58F. Winds NNE at 10 to 20 mph. Chance of rain 30%..
Mandan’s Kelly Steckler has been honored as the Morton County Outstanding Disabled Citizen for 1994 by the Mayor’s Committee on Employment of People with Disabilities. Although diagnosed with a crippling form of juvenile arthritis at the age of 13 months, her determination for a successful life resulted in graduating from Mandan High School in 1990 and with honors from the University of Mary in 1994. Her motto is “She believed she could, so she did.” Steckler is currently employed as assistant director at the Mandan City Library. Tim Broeckel, manager of Mandan’s Pizza Hut, received the award for Outstanding Employer of the Disabled. He encourages his disabled workers in their educational goals and cheers their participation in Special Olympics. Broeckel has also worked to arrange free transportation for his employees and has a good relationship with their various group homes. Recognized as Mandan’s Outstanding Senior Citizen Volunteer was Fred Morman. He was a scoutmaster for 10 years, helped build an addition to Christ the King Church and continues to maintain the church’s electrical system. Loni Reich was also recognized as a Very Special Person for her work with and for people with disabilities. She has been on the Mayor’s Committee for nearly 25 years, eight years as chairperson. She remains devoted to the cause despite working two jobs. Andrew Gangl, 82, Bismarck; raised, educated at St. Anthony. Survivors are one son, two brothers, one sister. 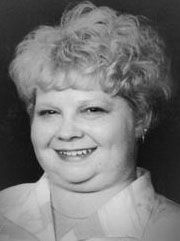 Mary A. Aman, 87, Mandan; raised, educated in Odessa, Russia. Survivors are two sons, three daughters and their families, three sisters. Arlene (Schauss) Pulkrabek, 65 Mandan. Survivors include her husband, Donald, four sons, one daughter and their families, one brother and five sisters. Temperatures Tuesday, April 5: a high of 43 degrees; 14 degrees for the low. Mandan High School held its 1968-69 Lettermen’s Banquet this week at the American Legion Club, Mandan, with 90 letter winners present to receive recognition. Senior Dave Stuart was chosen as the Most Valuable Player in football and wrestling by his teammates. Other seniors receiving letters for those sports were Tom Assel, Dale Carrier, Mike Cook, Merlin Dahl, Mike Heinsohn, Robert Hoffman, Ron Just, Victor Kopp, Terry Millner, Don Sauter, Len Stanley, Pat Kremer, Ken Royse, Stacy Haseltine and Jim Syvrud. Senior Ron Just was picked Most Valuable Player in basketball for the second time in high school. Seniors receiving letters were Tom Assel, Dale Carrier, Dennis Erickson, Randy Pitzer, Len Stanley and Don Sauter. Senior lettermen for tennis were Tom Goebel, Lance Heisler and Steve Vogelpohl. Senior winners in track were Tom Assel, Dennis Emil, Don Grosulak, Len Stanley and Jim Syvrud. Girls tennis letter winners were seniors Peggy Friedenbach, Lola Salmonson and Marcia Uhlman. The only senior letter winner in girls track was Susan Ehli; for gymnastics it was Laura Hopfauf. The cheerleaders were also presented with letters: Paula Koch, Coyla Leslie, Penny McFerran and Vicky Wickham, all juniors. Marine Cpl. Stanley L. Gehring, son of Mr. and Mrs. Gus Gehring, Mandan, has graduated from the Radio Operators School at the Marine base in San Diego. He enlisted in the Marines in July 1943 and was quickly promoted to corporal because of his high standing in the graduating radio operators’ class. Pfc. Frank J. Ressler has been transferred from Shreveport, La., to Camp Roberts, Calif. He is the son of Mr. and Mrs. Anton Ressler. The Resslers have a second son in the service, Cpl. John J. Ressler, who is stationed in Italy. Funeral services were recently held for William H. Vallancey, pioneer Mandan hardware merchant who died, following surgery, at a Minneapolis hospital. Born in Ireland in 1880, Mr. Vallancey arrived in the United States with his parents at age 10. He and his brother, Robert, came to Mandan in 1901 and together opened a hardware store, named Vallancey Brothers. Burial will be at Graceville, Minn. Survivors include his widow and one daughter, Mrs. Frank Gruye, and two brothers. Son-in-law Frank Gruye is serving with the Seabees in Alaska. News has been received of the Feb. 13 marriage of Miss Inez Ohm, daughter of Mr. and Mrs. Carl Ohm, Mandan, and Sgt. James Hanson, Fort Leavenworth, Kan. Mrs. Hanson is a graduate of Mandan High School and has been employed at the Purity Dairy company in Mandan. Sgt. Hanson is a graduate of North Dakota Agricultural College, Fargo, and prior to his enlistment in the U.S. Army, was employed as pharmacist at the Mandan Drug Co.
“Two weeks ago Dr. F.E. Bunting, city health officer, submitted samples of Missouri River ice to the public health laboratories at Grand Forks for bacterial examination. Today, a letter was received at the doctor’s home stating that the ice is safe for use as drinking water. “Frank Jaszkowiak of Bismarck lost a valuable team of horses at noon yesterday, when he, along with two of his men, narrowly escaped with their lives while crossing the Missouri to Mandan. The driver was attempting to cross the frozen river when the horses became agitated and started to flounder and struggle, churning the rotten ice into mush, causing the ice to crack. The men leaped out of the buggy with their supplies just in time as the horses and buggy were sucked under the ice. “The water of the Heart River did not raise very much during the night although water has reached all of the low spots throughout Syndicate. The fairgrounds are also inundated by the water backing up due to a gorge in the river near the Mott bridge which is to be dynamited by railroad employees today. “On Thursday, April 5, at 2:30 p.m., the thermometer recorded 54 degrees above zero. “Wool and lambs are beginning to be talked about. “The first strawberries of the season have arrived in the Mandan markets, price is 45 cents a quart-size box. “Little Mollie Gundersen of this city, who lost her feet and limbs a year ago when run over by a train in our railroad yards, has begun the task of collecting 1 million used postage stamps. When completed, she is to be supplied with artificial feet and legs. Mollie is hoping many people, far and near, will respond to her plea. For the convenience of collectors, parcels of stamps may be left at Mr. Heegard’s store or at Dr. S.D. King’s office.